December | 2014 | Ready, Set, Glow! I love the Holidays, but it’s always bittersweet for me. I feel so grateful to have a family that loves me, a roof over my head, food on the table, etc. But it’s not the case for everyone… My heart aches for those who don’t have all of that…especially for the Holidays. I started the Giving Back series because I wanted to highlight green beauty brands who do charitable work all year long, not just for special occasions. I think kindness should be an inherent part of all of our lives. Today’s Giving Back post is about Barbara Jacques’s philanthropy. 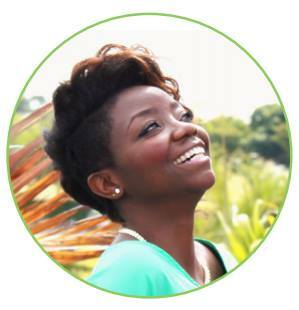 She is the founder of Jacq’s Organics, a family owned all-natural brand with products suited for all the family. I have been using the Sweet Orange line for almost a year now…and I love it. Barbara is special to me for many reasons, but also because we are both Haitians and share most of the same values about life. Everytime you purchase a product from Jacq’s Organics, proceeds go to an organization close to Barbara’s heart: J/P HRO (Haitian Relief Organization) for which actor Sean Penn is a Board Member. This organization has the mission of helping the many thousands and thousands of Haitians affected by the 2010 Earthquake. 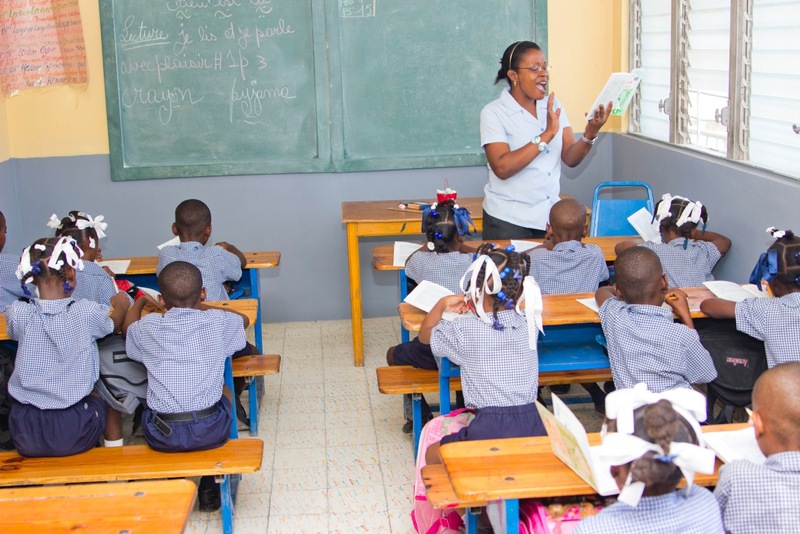 J/P HRO helps Haitians to transition to resilient, sustainable and prosperous communities. Jacq’s Organics also donates 1% of its annual sales to several non-profit agencies. That is what I call: Kindness in action! I asked Barbara to talk to me about the specifics of J/P HRO and how she practices kindness in her personal life. This woman is a beauty, inside and out! 1. First, how would you describe Jacq’s Organics? Jacq’s Organics is a family-friendly product line that’s hand-crafted from raw, environmentally source ingredients that serve the purpose of providing skincare that’s free from harmful harsh preservatives. We take pride in being a cruelty-free brand that does more then give back but also helps make a difference and shed light on the importance of living green. 2. What sets you apart from the other green beauty brands? I realize that there are lots of green beauty brands. But what makes Jacq’s Organics different is that it was created when I learned I had an ovarian tumor while pregnant. Even though I lived a green lifestyle, what I learned is that beauty products and even the food I ate contributed to the growth of my tumor. There are many factors including lifestyle, family history and environmental factors that affect our body. This made me re-evaluate and learn about what it was I put in my body and on my skin. My experience also taught me to appreciate life including the mot simplest things which translates in our product line. More importantly, I’d like to utilize my story and my experience to share with women that are currently battling an illness to stay strong and fight for your life. You are not alone and you do not have to suffer in silence, but instead fight for the life you want. This is what makes Jacq’s Organics different. It’s not just about skin care or bath products. 3. What is your motto or philosophy when it comes to giving back? Why is giving back important to you? I have childhood memories of my mother making dinner after working long work hours for my siblings and I and then feeding the homeless that lived in our neighborhood. We didn’t have much; honestly, we didn’t have anything and she was a single mom, but she always helped those in need. So, giving back for me is not just about giving but supporting our community and helping those in need. Giving back is important to me because there were days and holidays where we didn’t have much. I know first hand how it feels to not have and the huge difference and impact giving back has. This explains why I worked in non-for-profit because you can help individuals in so many ways. Plain and simple. 4. Why did you choose to get involved with J/P HRO? We choose to donate to this organization for several reasons. In addition to their focus on medicine, community development, engineering and construction, and relocation for the millions of people, there is a genuine effort to save lives and build sustainable programs. Even after the media stopped coverage in Haiti, this organization continues to show and proves its efforts and you can see the positive impact it has. The second reason I choose to be a part of a charity connected to Haiti is because I am Haitian. I’m a first-born generation Haitian with family living in Haiti. I see that many of the decisions made by the government and aid given from charities not only impact the individuals living in the country but it also impacts the families of the individuals living abroad. Haiti is a place that I hold near and dear to my heart. Funding for Education is vital. 5. How do the funds help? The funds donated to this organization go towards providing medical needs, camp and relocation management, creating community infrastructure, education, engineering and construction. But remember, money is not the only way to help this organization. Individuals can help by spreading the word, volunteering and by taking action. One way individuals can take action is by creating a local fund-raiser to help the individuals working hard to help rebuild the country. 6. You have children, so how do you instill the values of giving back and of kindness ? Giving back is very important to my husband and I. I believe the best way to teach is to show. I have a 3-year-old toddler and we don’t buy her toys. However, she has a room filled with toys from family members and friends as gifts. I became overwhelmed with the excessive amount of toys, so I sat down with her and explained to that she had an excess amount of toys and there are children with no toys. I explained to her that we are going to be giving some of her toys to those children who didn’t have toys. She agreed and starting sorting through her toys. We volunteer, serve on boards and mentor under privileged kids. My daughter will learn from my actions. I was born in Canada, and I’ve never been to Haiti, but it’s dear to me because my parents are Haitians, so I was raised with their values. Haiti was called “La Perle des Antilles” it’s french for “Pearl of the Carribean“. Haiti hasn’t always been the poor devastated country it is, it used to be a place praised by many for vacations and getaways, and it was is a wonderful place. The media portrays a negative image of Haiti, but make no mistake, Haiti even though ravaged by nature, is a beautiful and resourceful island. Don’t believe everything you see on television. Haiti isn’t solely about poverty and hunger… even faced with adversity, there’s joy, warmth and faith. Haitians are not only resilient and hopeful, but they are determined to overcome whatever comes. The people make the country, not the other way around! 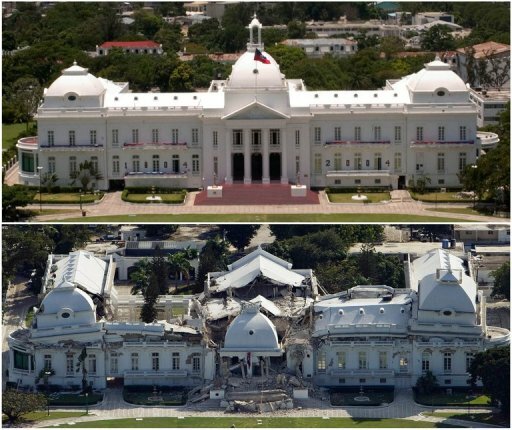 Here is an image of the Haitian Presidential Palace before and after the Earthquake that shook the nation on January 12th, 2010. Don’t forget, the true spirit of Christmas is selfless! A simple gesture could make a big difference in the life of someone else…and in yours! 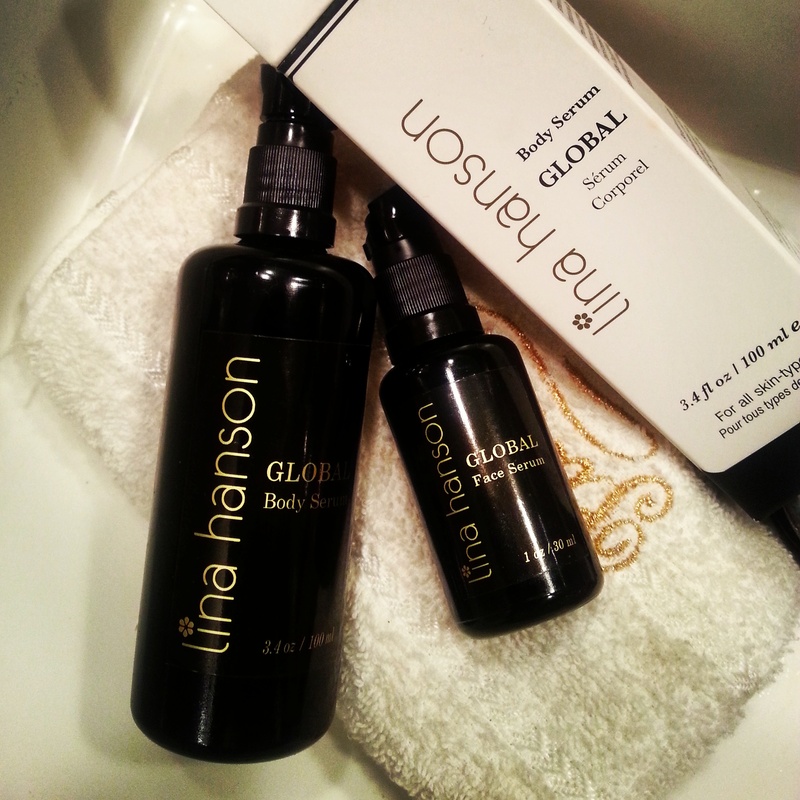 It’s no secret I love Lina Hanson and her Global serums for face and body. Today, she shares her simple beauty tips to achieve healthy glowing skin. Here are her 5 beauty tips anyone can do! Hydrate your skin from within by drinking water. However, the type of water you drink also matters. Alkaline water is great because it helps detoxify your body and enhance your immune system. A healthy body equals healthy skin. 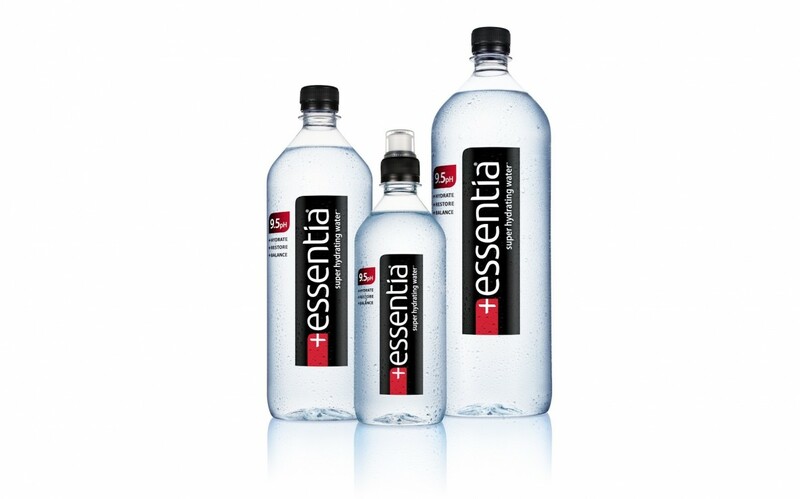 My favorite alkaline water is Essentia water. It also tastes delicious! Dry brushing your skin is such a great way to increase circulation and release toxins. It also removes dead skin and clears up clogged pores. 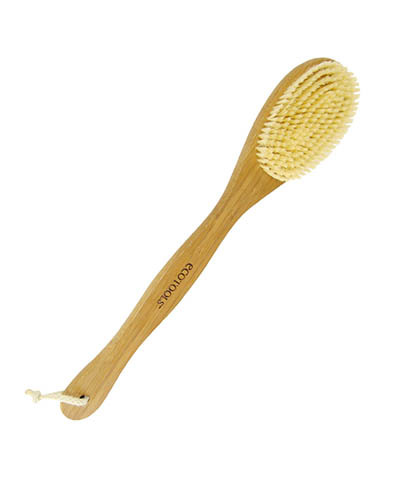 I like Eco Tools Bamboo Bristle Bath Brush. Remove dead skin cells by exfoliating your face and body at least once a week. It will quickly improve the appearance of your skin and let your skin breath. You can even use ingredients from your kitchen cabinet. For the face, raw sugar or brown sugar is a great and inexpensive option. For the body you can use something slightly more coarse like sea salt. Hydrate your skin with oils. Some people are nervous to use oil on their face, but the truth is, an oil will absorb into the skin faster than a regular water-based moisturizer, and will leave your skin with a beautiful glow. The same goes for your body. Hydrating your skin with an oil is the best way to get glowing skin. I use Global Face and Body Serums morning and night. Spirulina is one of the best super foods for healthy skin. It increases skin metabolism and wards off free radicals. It also prevents candida bacteria which can lead to acne. 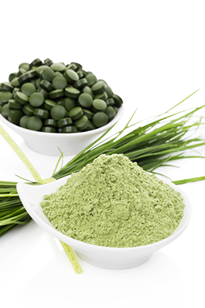 Spirulina can be taken as a supplement or powder form daily. I always add it to my morning shakes. 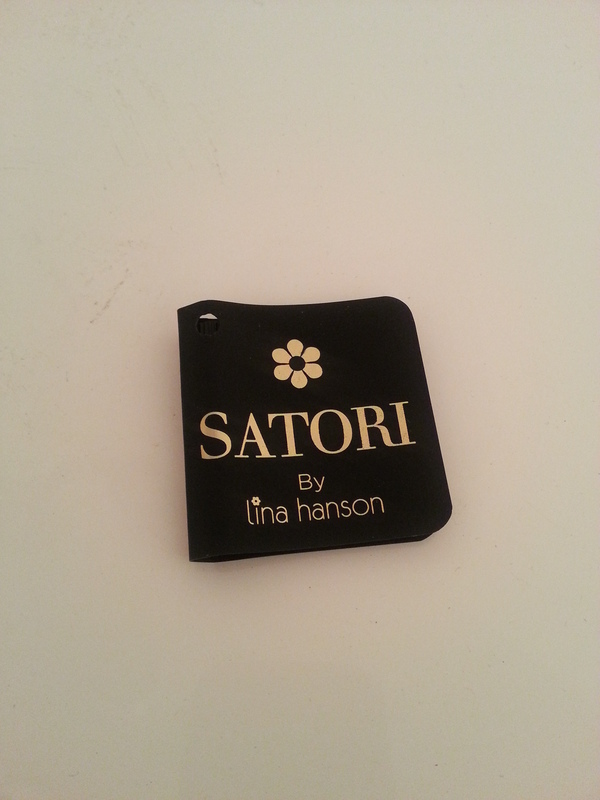 *Satori is Lina’s new creation: a perfume oil. It is an uplifting blend of Vanilla and Sandalwood, along with crispy notes of citrus and ginger. I really love it, it’s perfect for everyday wear as it’s not overpowering. It has a little mystery to it, which makes it very intriguing. The perfect scent for the strong modern woman who likes a touch of sophistication. Satori is set to be launched in January 2015. Stay tuned! It’s easy to procrastinate and put these tips off to the New Year… but don’t! Don’t wait another day to start… Healthy glowing skin can NOT wait! Start today, start now ! If not all five beauty tips, at least one, then add another one the next day, your skin will thank you for it! Personally, I know I need to drink more water than I do now. What about you, what beauty tip do you need to start practicing more? Special thanks to Lina Hanson for her collaboration.